Replacing carpets is expensive for business owners and home owners alike but you can extend the life of the carpets in your home or office by getting them professionally cleaned by our highly trained team of carpet cleaners. Our office carpet cleaning and home carpet cleaning service will remove trapped dirt, stains and bacteria from your rugs, carpets and upholstery, which means they will last longer. Our cleaning company can transform your dirty looking carpets into new looking ones as well as saving you money on getting your office carpets and domestic carpets professionally cleaned by us. Hiring our rug cleaners will protect the cash you have spent on your quality soft furnishings. Our services are all at reachable cleaning prices. Carpets, rugs and upholstery need quality upkeep and care, particularly in areas where there is high traffic. Vacuuming alone is not enough to remove the dirt that is making your carpets, rugs and upholstery look grey, dead and insanitary. Stains, spills and ground in dirt are tough to eliminate. Most carpet stain removers from the supermarket and cleaners could leave the carpet with discoloured patches and beyond repair. That’s an expensive mistake to make! That’s why it makes sense (and saves you money) to use our professional team of highly trained carpet cleaning experts. 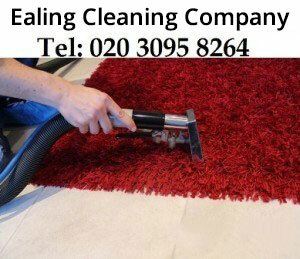 Call Ealing Cleaning Company today for a free quote on 020 3389 8881.